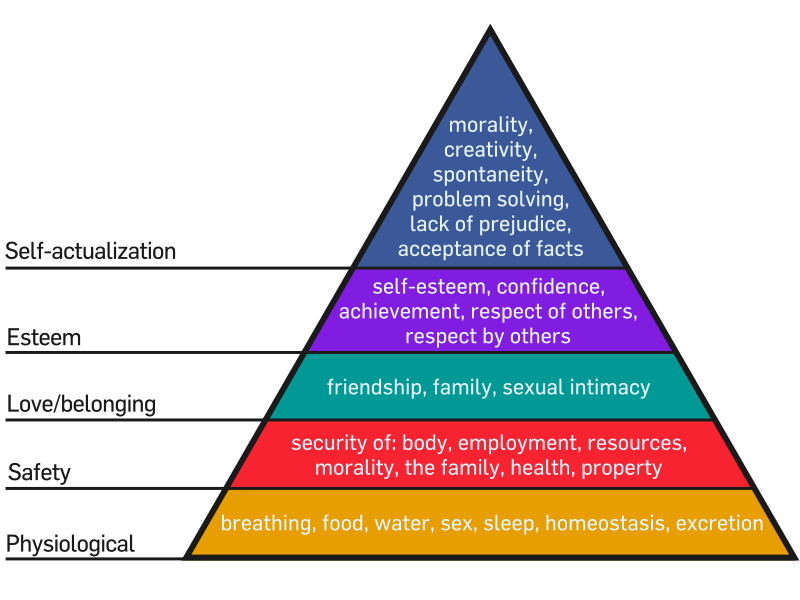 Maslow’s hierarchy of needs is a theory of human motivations, suggesting that once certain needs are met, people are not satisfied with the present condition, but instead develop new, higher order needs and try to satisfy those. At the bottom of his hierarchy are the staunch basic – food, water, shelter, etc. The next level of need is to secure basic safety, a job, and so on. After that, people look for love and to become part of a group and to satisfy needs for friendship. The very highest level of need focuses on artistic values – the need for morality, creativity, spontaneity, and self-actualization. Engineering, in a sense, has an analogous hierarchy of needs and developmental milestones. At the very basic end, when engineering is closest to science, the question is “can we make it work?” After that, the question becomes, “can we make it affordable?” then “is it portable?” and so on. Again, at the highest levels, the focus is again on artistic values. Is the user interface nice? Did an industrial designer create a beautiful case? I think we’re at a point in time, where basic technological needs are already met, and people can focus on higher level activities. Take a look at the explosion of 3-d printers, or hobby boards like the Arduino or Raspberry Pi. It amazes me that, it’s possible to buy a microprocessor chip from PIC or Atmel that has built in AtoD and DtoA converters, support for PWM, with more speed and memory than anything I owned 10-15 years ago, and it’s the size of my fingernail and costs less than $10. Five years ago, when I was working on a roof inspection robot for my senior project, finding a processor that was remotely operable and had the power to run our control loops and was easy enough to program was a real challenge. Now my cell phone could do it. This new technology is really exciting in a way, because so many hardware / software stacks have been built and abstracted and made free and available, that anyone with a reasonable degree of talent can combine them into something really cool. It’s also really terrifying in a way, because anyone with a reasonable degree of talent can do it. It’s a brave new world where anyone can make really cool things, and to stand out, your really cool thing has to stand out on a artistic level as well.